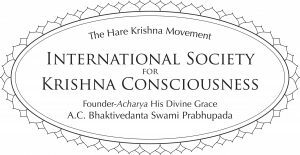 New Raman Reti is a spiritual community of the International Society for Krishna Consciousness (ISKCON), Founder-Acharya His Divine Grace A.C. Bhaktivedanta Swami Prabhupada. Situated on a tranquil, rural 127-acre property in Alachua, Florida, 20 minutes north of Gainesville, you’ll find cow pastures, gardens, ponds, forested groves, a guest house, a school, and the Eco Teaching Farm. Our temple hosts a daily meditation program running from 4:30 am through 9:00 am. There are traditional ancient ceremonies called Aratis that are performed 6 times a day. Every Sunday we host an Open House starting at 4:15 pm, where you can experience a taste of Bhakti. You’ll learn more about the lifestyle and culture of those who practice Bhakti Yoga, there is a talk and discussions on philosophy, melodious kirtan chants you can join in with, or just walk around and enjoy the gardens. We celebrate many religious festivals throughout the year, including Gaura-Purnima, Janmastami, Radhastami, Rama-Navami, and the Festival of the Holy Name. Check the calendar for dates and times. This temple serves over five hundred families in the immediate area, making it the largest Hare Krishna community outside of India. New Raman Reti is also the headquarters of Back to Godhead magazine, Krishna.com and the ISKCON Youth Ministry. Services and resources within the community include Ashraya social services for devotees, CARE for hospice needs, Save the Cow specializing in cow protection, the Bhakti Bhavan training center for women, Bhakti Shastri classes, and two schools for children from Kindergarten through 10th grade, the Bhaktivedanta Academy of North America religious day school, and the Alachua Learning Center public charter school located nearby. Click here to see a complete list of community resources. Devotion in the heart easily awakens at New Raman Reti, where cows roam freely in green meadows bordered by large oaks. Come visit us and experience the peaceful spiritual atmosphere for yourself.